but of course this could have loads or reasons, different camera movements, shutter shock, or different lens, IOS switched on/of, different camera, filters in front of lens etc. So if you used two different cameras with two different settings each with the same lens (but I am not sure if you did...), I would guess the pictures 1 and 2 might be taken by the same (lower res sensor?) 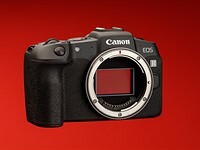 and 3/4 with a higher res sensor, 4 and 1 with maybe f4/8 and 3 and 2 with maybe something like f11. However, to produce such a shallow DOF, they would have to be tele lenses, maybe 200mm or larger? So now you can tell me I got it all wrong....:-)at least I stuck my neck out in your fun-exercise!